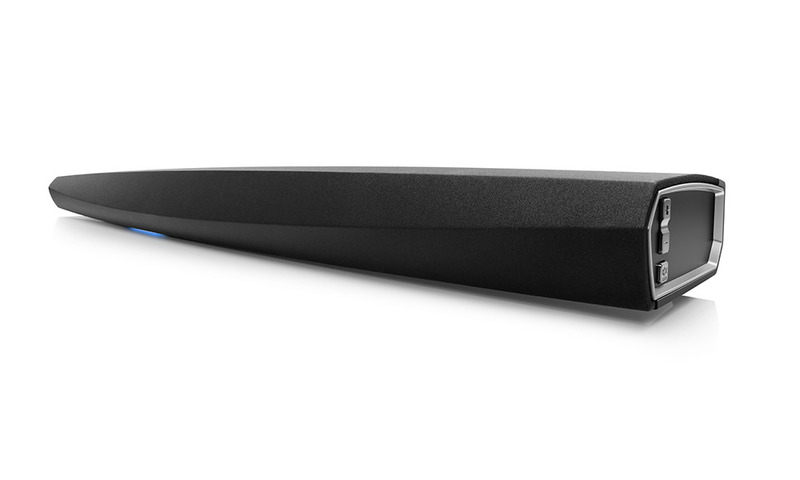 Denon announced the wireless HEOS Bar soundbar with HEOS Subwoofer. 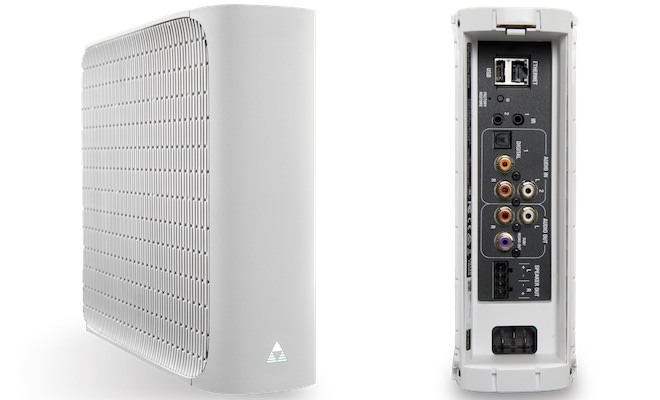 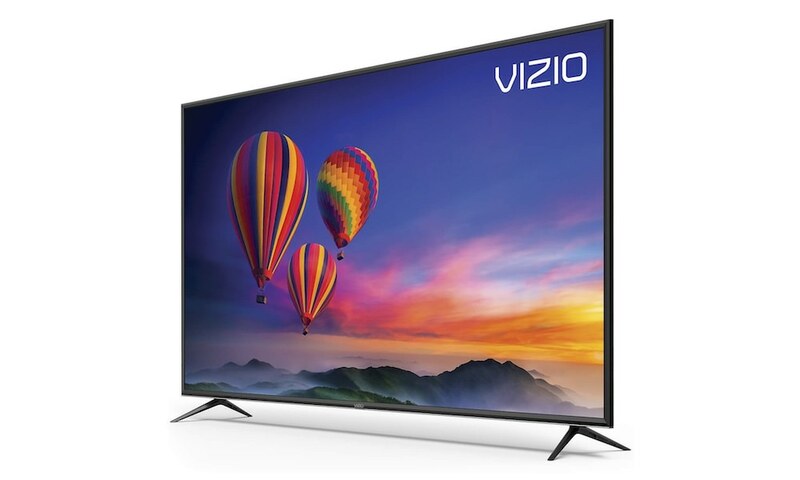 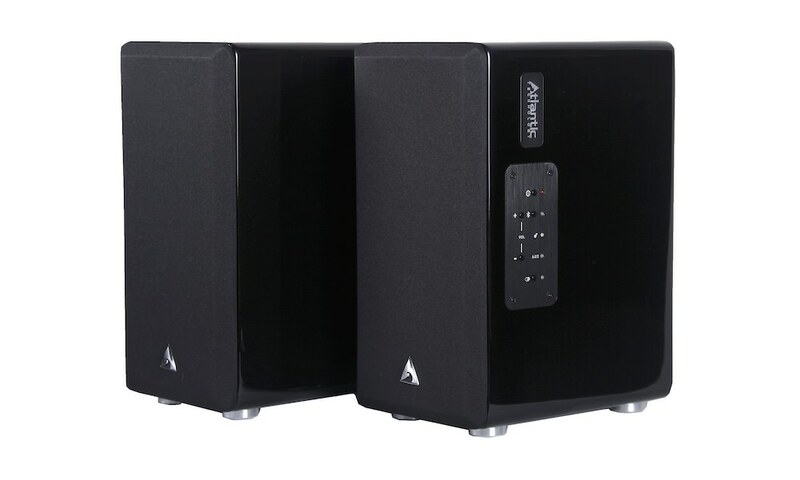 The $1400 combo works together for a wire-free TV sound or home audio solution, but each can be bought separately. 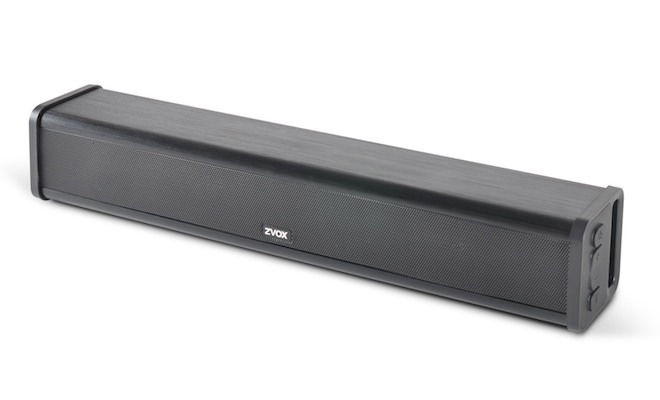 The sound bar improves TV sound or functions as a Bluetooth music-streaming solution with or without HEOS multi-room capabilities. 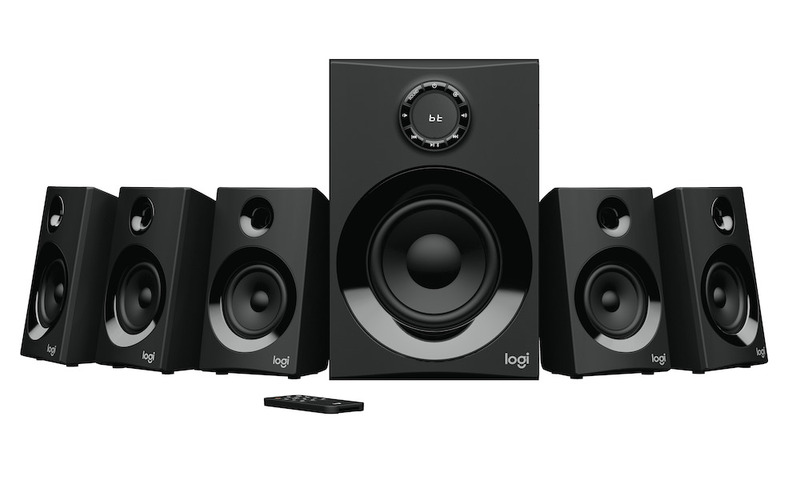 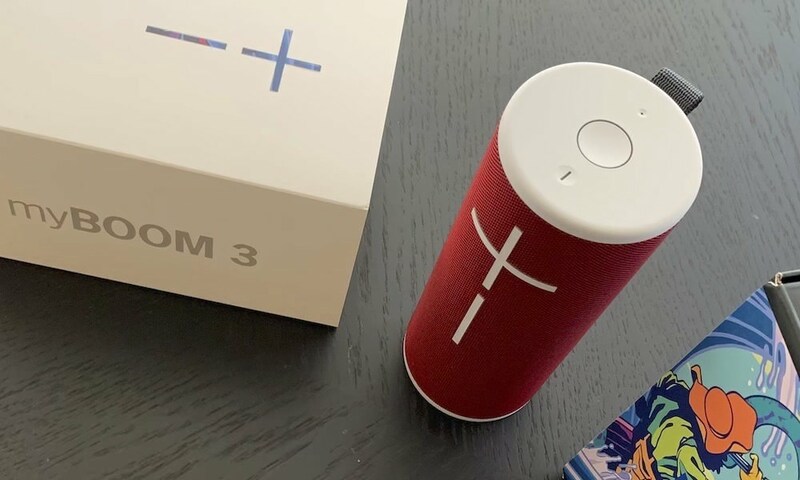 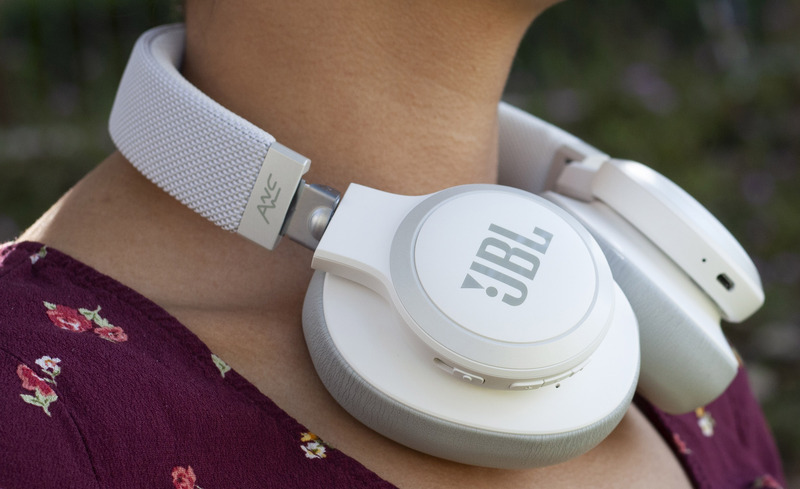 It’s a three-channel design, suitable for screens over 50 inches and able to be used on a shelf or wall-mounted, and uses nine high-performance drivers in a 45-degree configuration to spread sound around the room. 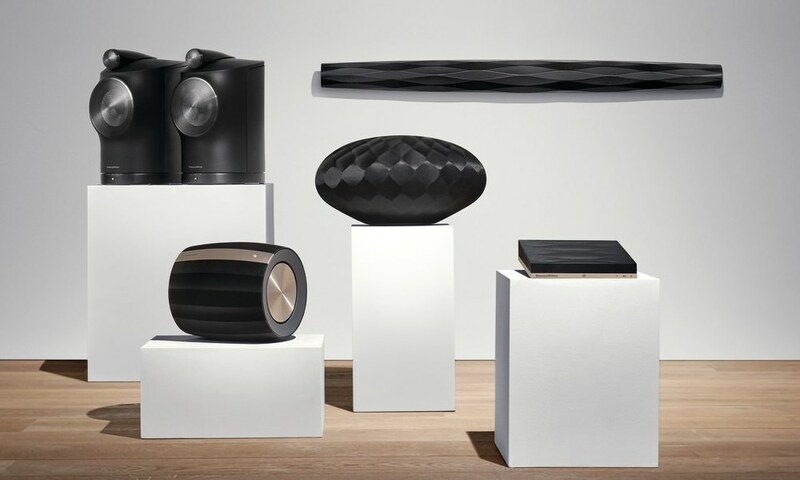 Built-in HEOS music streaming allows you to listen to your own music library all the way up to ‘beyond CD’ DSD, streaming services including Spotify and Tidal, music or direct from a phone or tablet via Bluetooth, and Internet radio, while the HEOS Bar can also be combined with other HEOS speakers around the home to give full multi-room audio. 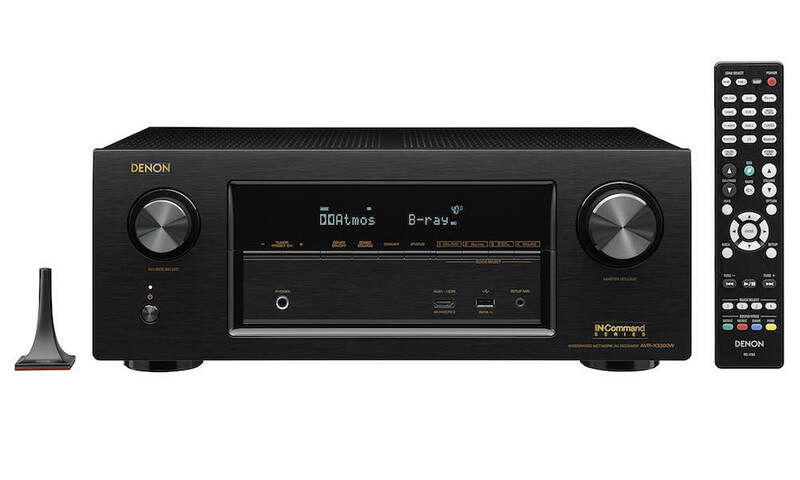 Four 4K-compatible HDMI 2.0a inputs make it suitable for use with multi-source ultra high definition AV systems (for example with a Blu-ray player, set-top box and computer), while Dolby True HD and DTS-HD Master Audio processing means it will sound as good as those 4K pictures look. 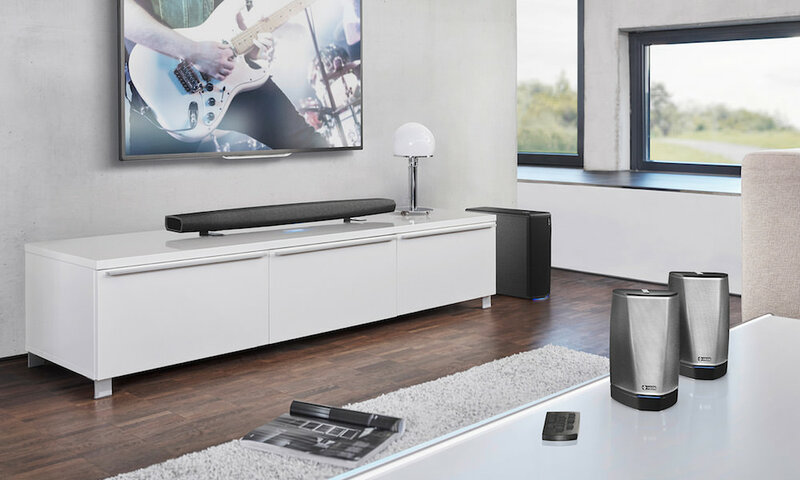 All this is achieved while still retaining simple set-up and operation, including the bar’s ability to learn commands from users TV remote, and the intuitive HEOS App for full system control. 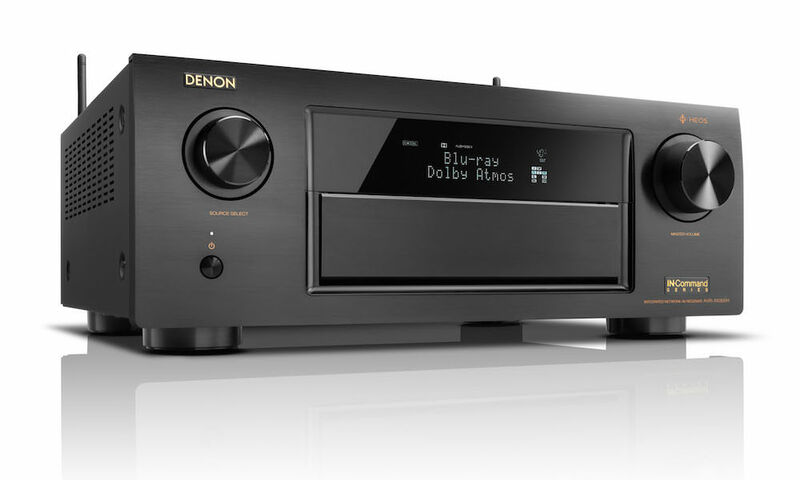 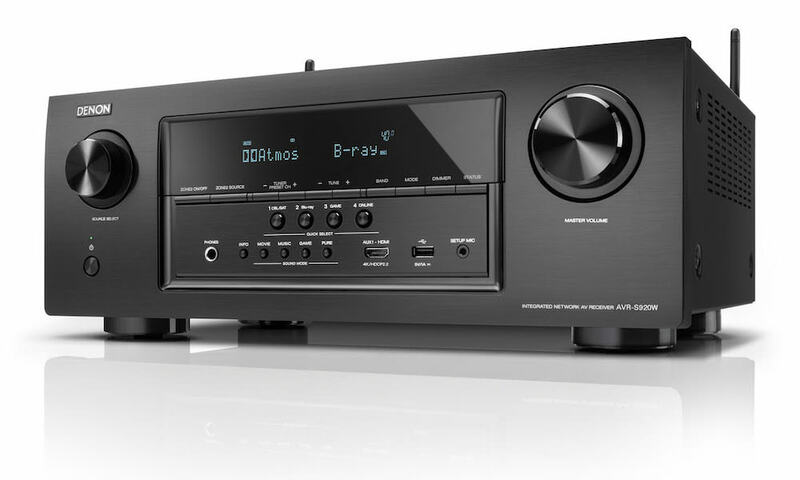 Denon says the same DSP technology used in Denon’s award-winning AVRs is also included in the soundbar to create impressive virtual surround sound. 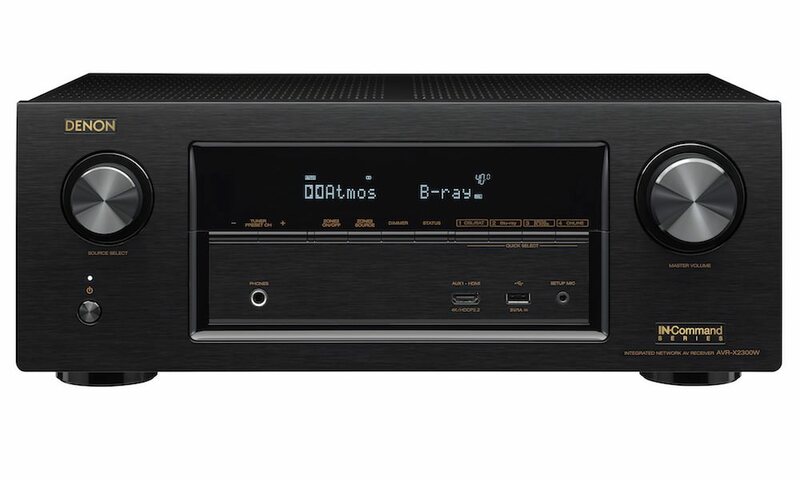 This unique processing decodes surround sound audio and uses processing algorithms to give the impression of 5.1 channel audio without surround speakers being installed. 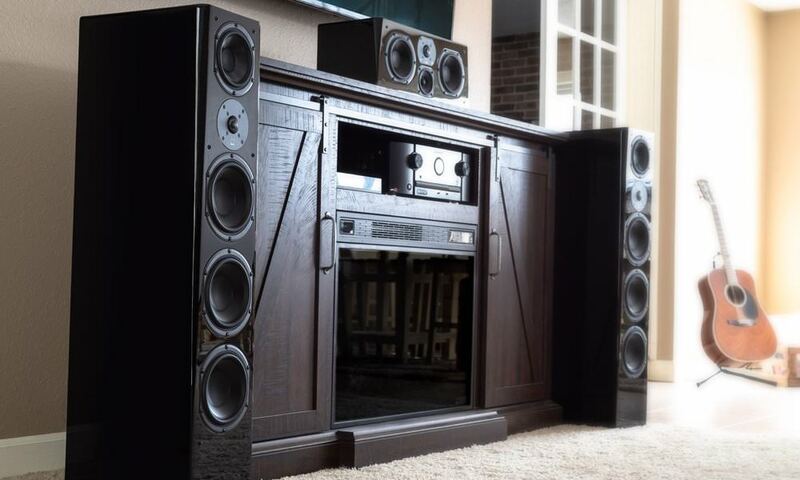 The Bar can be also integrated with a pair of HEOS speakers as well as the equally wire-free HEOS Subwoofer. 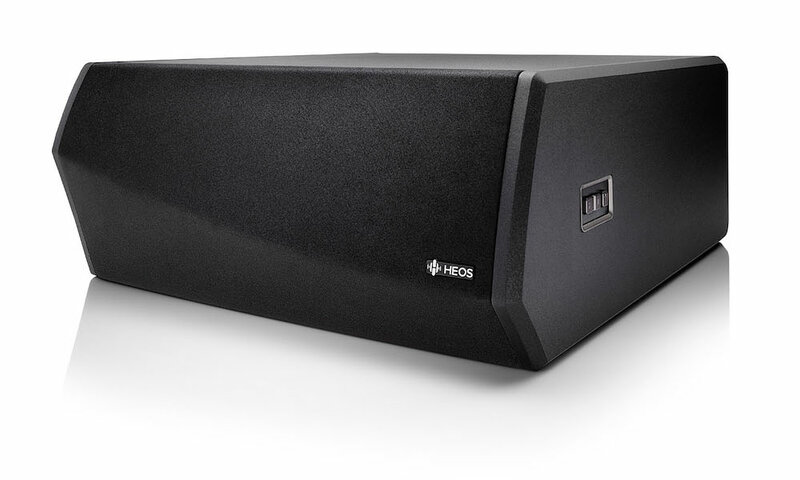 The new HEOS Subwoofer is designed to work in perfect harmony with the entire HEOS range, from wireless speakers to the new AV products. 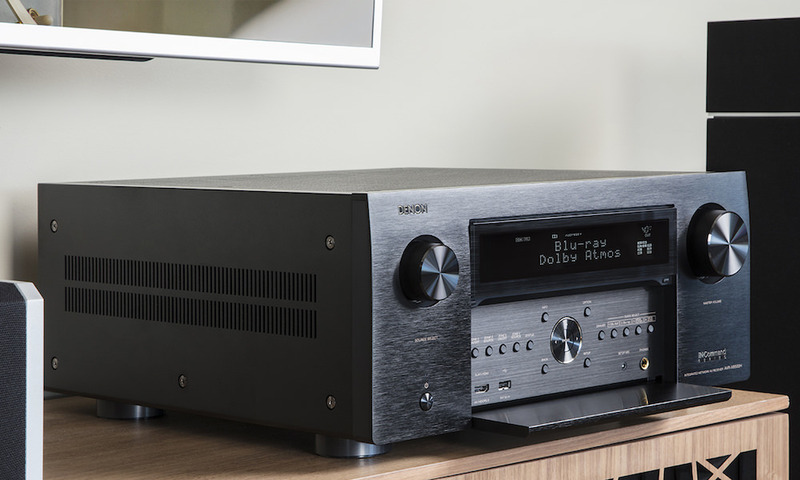 It also works with the HEOS Amp/HEOS Link, adding powerful, deep bass to any set-up – and being HEOS, it does so wirelessly. 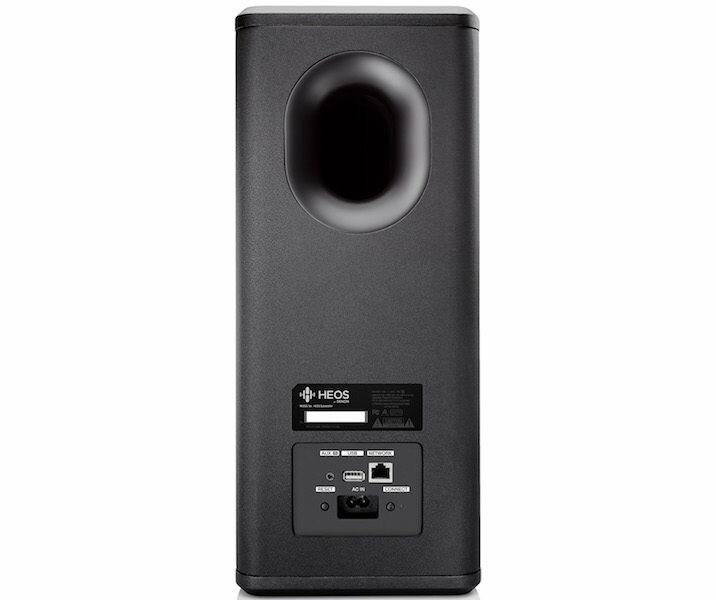 The HEOS Subwoofer is beautifully crafted with a stylish matte black finish in a slimline package that can be used vertically or horizontally, allowing it to perfectly fit the personal specification of your room. 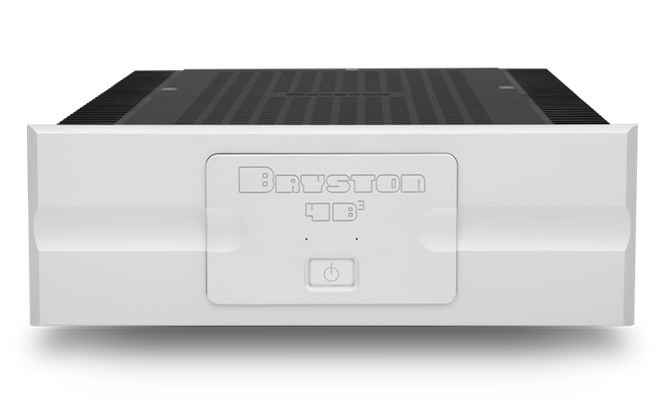 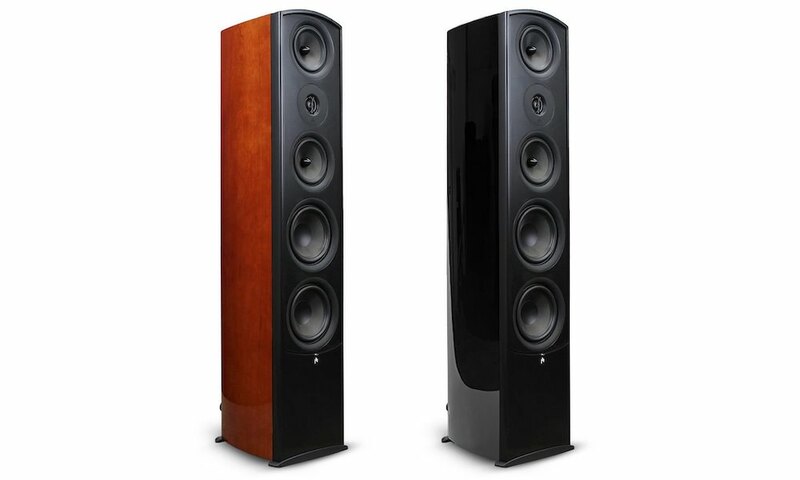 Two custom-made 5-1/4inch (13.5 cm) drive units combine with sophisticated Class-D amplification to deliver clean, room-shaking bass, while the slimline design can be used vertically or horizontally to suit a room. 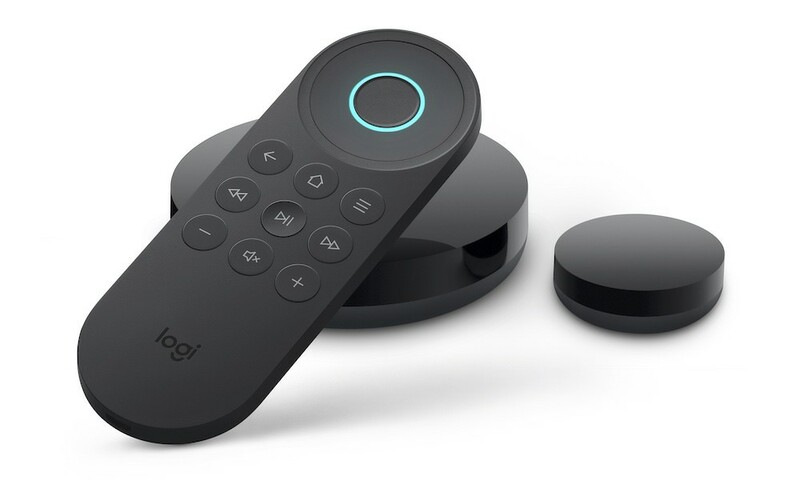 In fact it’s so slim, users may be able to slip it under a couch. 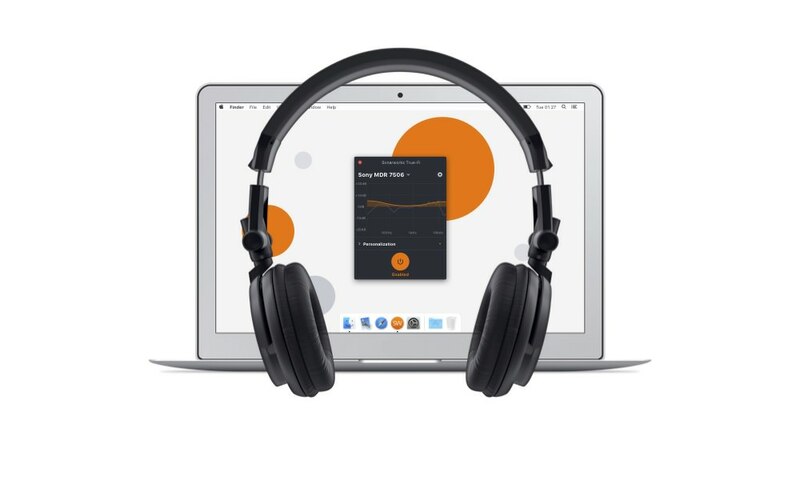 Advanced digital signal processing provides optimal default sound settings, and there are also user-selectable settings available for more confident users – all accessed by the HEOS app that makes set-up simple. 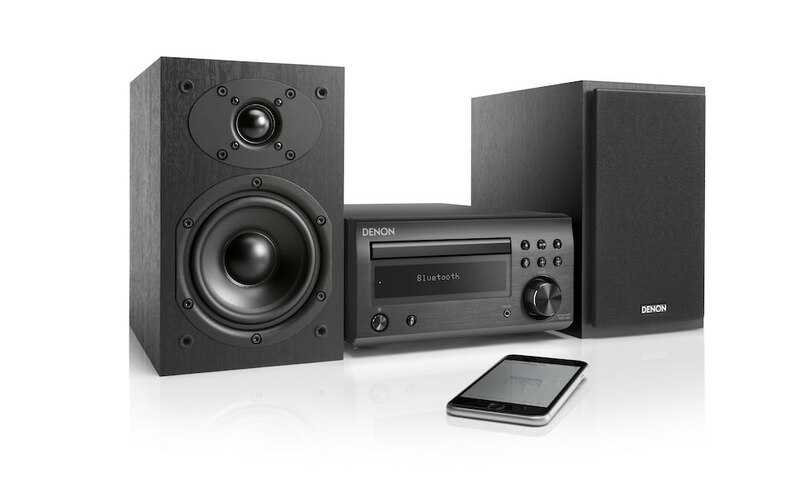 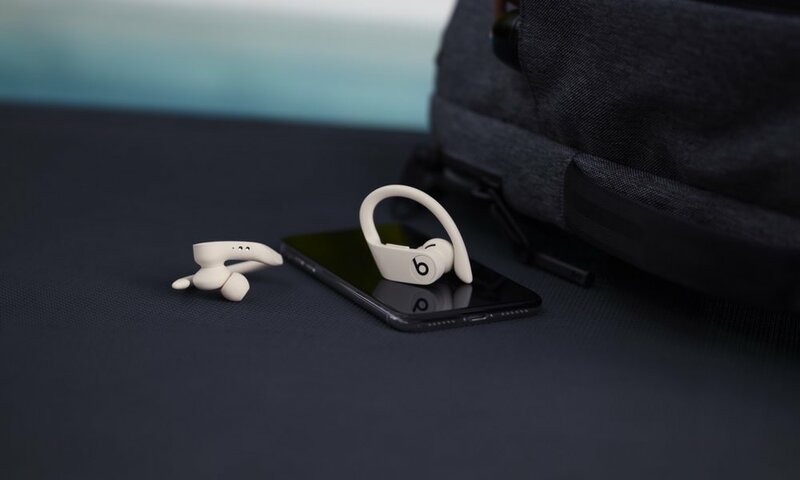 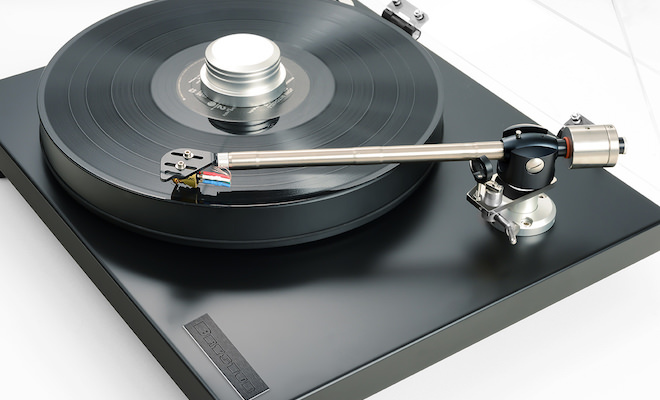 System integration features in the app provide a factory-optimized option for each configuration, as well as advanced settings for users that want more control in their unique listening environment.